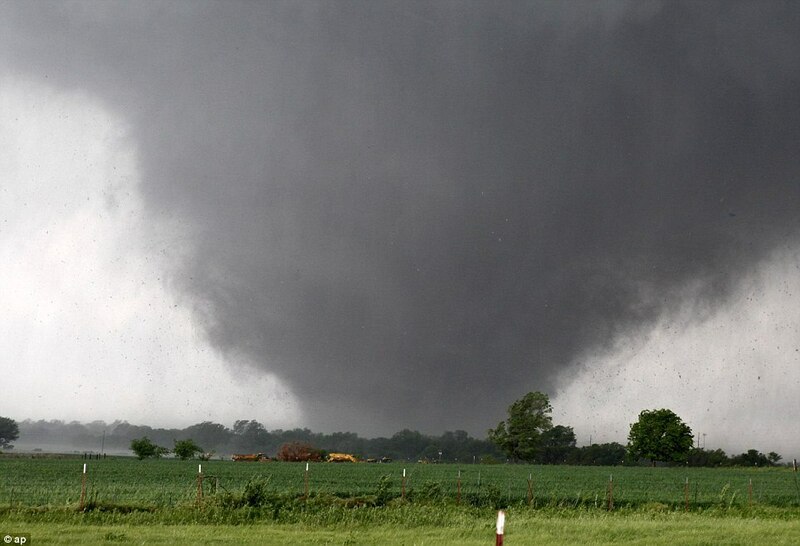 On May 20th, 2013, a monstrous F5 tornado devastated the city of Moore, Oklahoma. 24 people lost their lives, and a further 237 were injured in one of the worst tornadoes in American history. As I live only a few miles from the area that was destroyed and drove through often, I felt very personally affected. With so many stories emerging in the aftermath of the disaster, I have chosen 10 of my favorites, trying to focus on the more uplifting. Oklahoma is arguably the most religious state in the country, which makes this picture even more poignant. 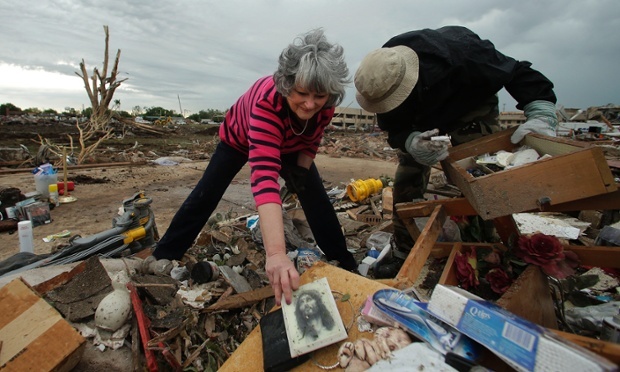 The smile of the woman’s face as she reaches for the picture of Jesus that was left untouched in the tornado shows her thanks at the miracle that she survived. Although Briarwood Elementary School suffered a direct hit, everyone inside the school survived in a miracle. 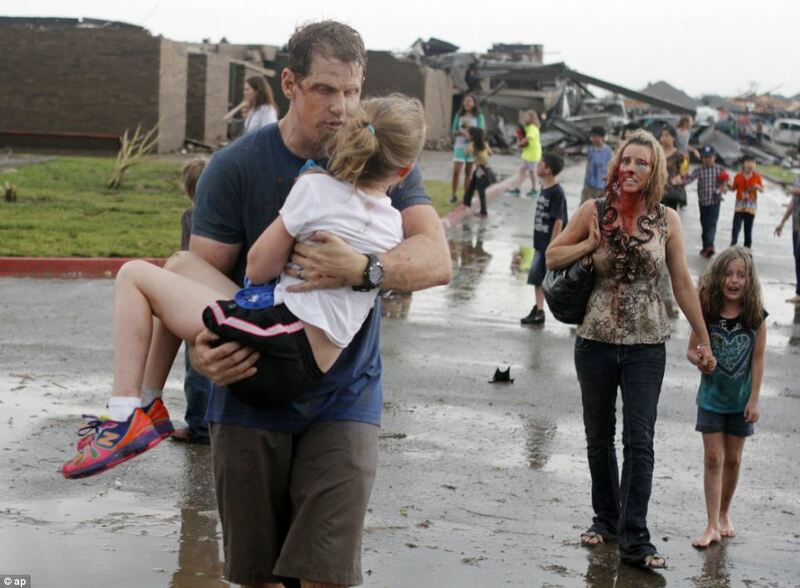 This photo shows children being carried away from the school by two kind-hearted people who were nearby at the time. The kids would soon be reunited with their families. 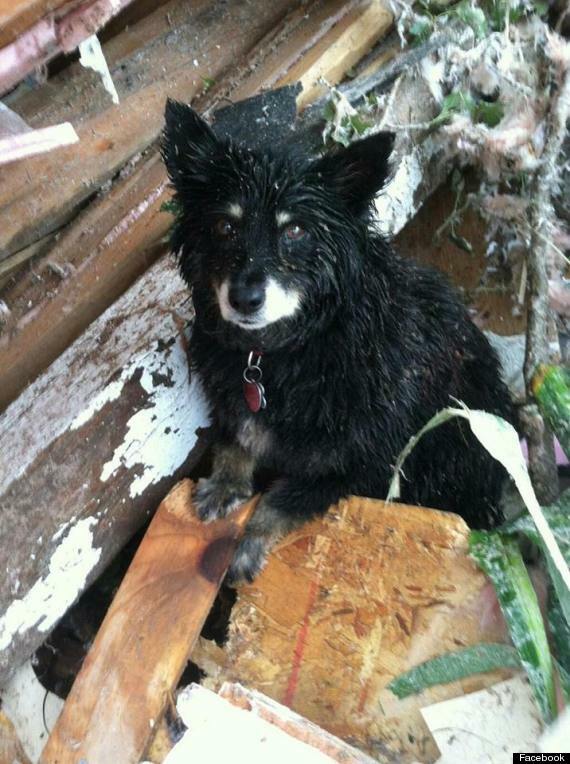 This beautiful but heart breaking photo was taken by a deputy who saw the dog on top of a pile of rubble. The dog refused to leave when coaxed away, and rescuers soon found out why. The body of its owner was found in the rubble. However, a woman soon contacted local authorities to say the dog was actually her brother’s, and that her brother was alive and well and looking for his dog. Its still unknown if the dog was related to the person whose body was found. 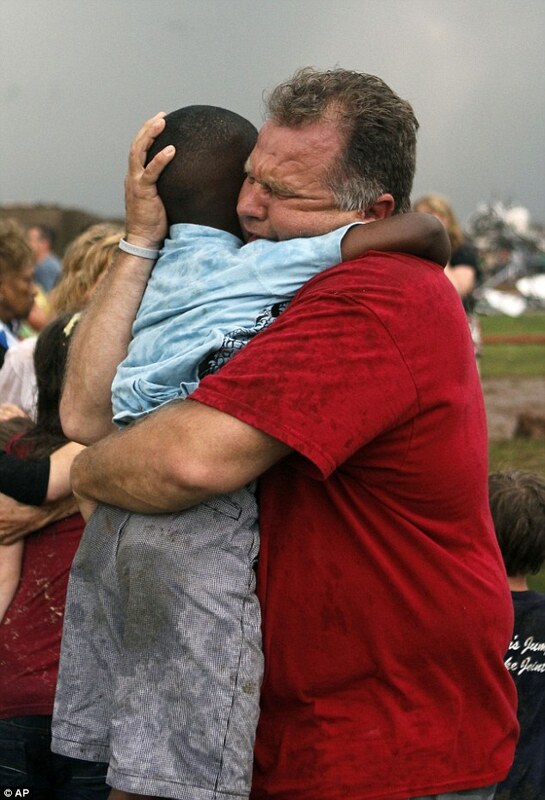 This has been the most publicized picture of the F5 tornado. The photo was taken not long after the tornado had formed, before it reached the towns of Newcastle and Moore. 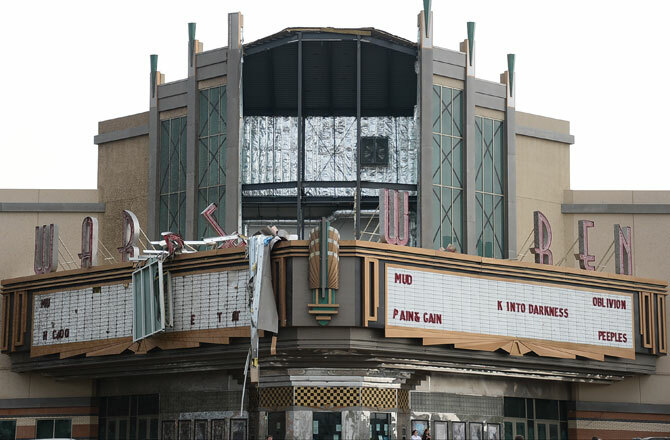 The Warren Theater in Moore held up impressively considering the power of the tornado. But what’s eery about this photo is the words that remain on the movie board – “mud”, “oblivion”, “into the darkness”, and “pain” – all titles or parts of titles from movies currently showing. This dramatic photo shows a man’s reaction to hearing the devastating news that the bodies of seven children had just been pulled from Plaza Tower Elementary School. 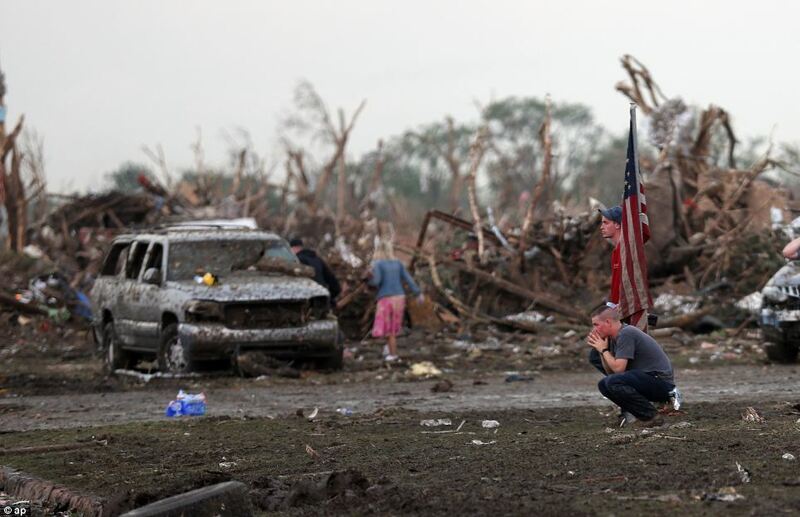 The American flag is also an important part of the photo, it represents how the country came together to support Moore. 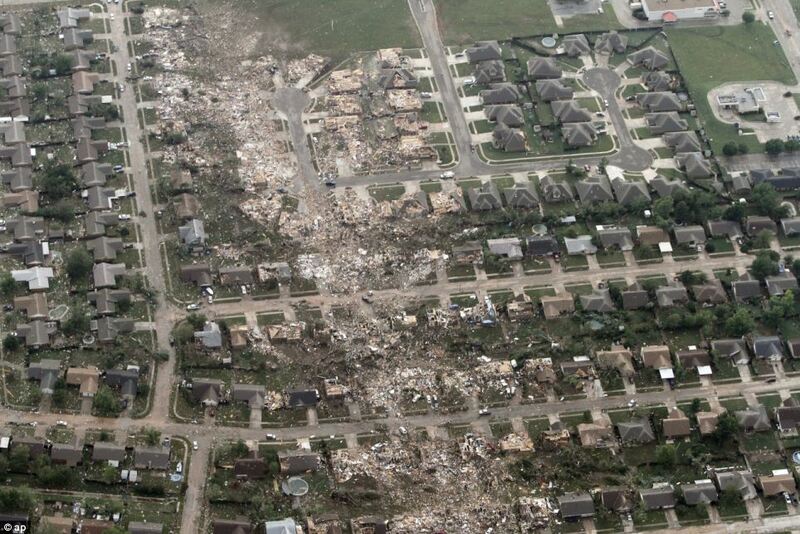 This aerial photo clearly shows the path the monster F5 tornado took through Moore. As you can see, along th edge of the tornado’s path, there are many houses that are untouched, while the house directly next to it is completely destroyed. This is the random nature of tornadoes. 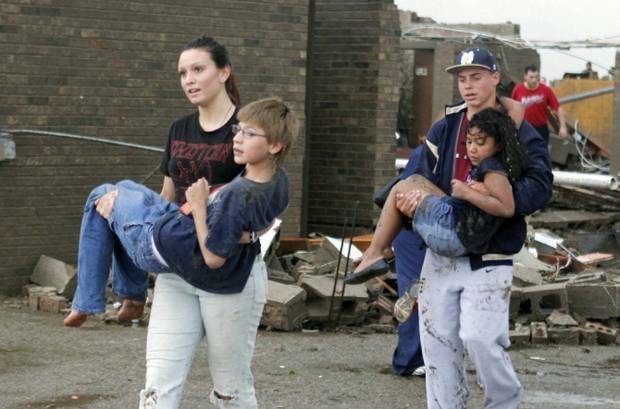 Seven young children died when Plaza Towers Elementary School took a direct hit from the tornado. This photo shows one of the kids who were fortunate enough to survive. 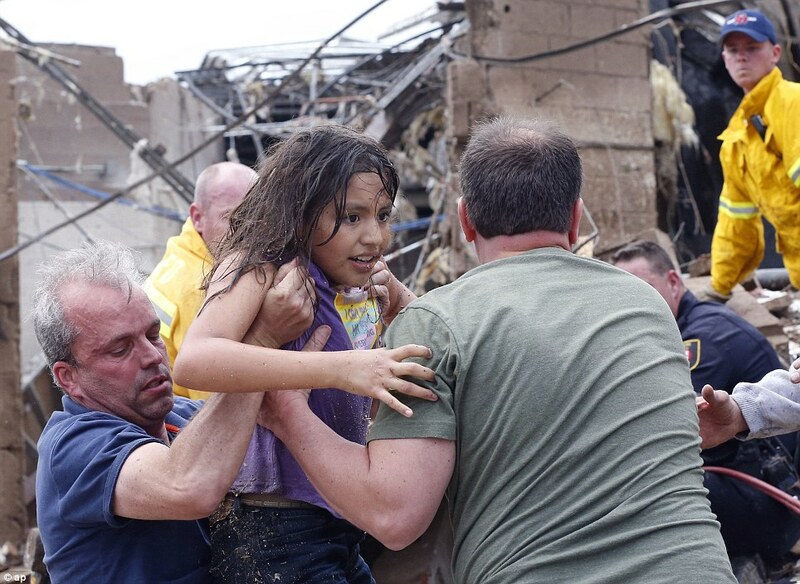 The smile on the girl’s face at being rescues, in the middle of all the chaos, makes for a beautiful photo. It was a tough choice between the top two, but I feel this photo has became THE iconic photo of the tornado. LaDonna Cobb is a teacher at Briarwood, and when the tornado struck, she used her body to shield her students. A classroom wall fell on her, badly bruising her and knocking her unconscious. In the photo, LaDonna is walking with one of her students behind her husband Steve, who is clutching the couple’s daughter, Jordan. The Cobbs stayed to comfort anyone who had not been reunited after the tornado. Miraculously, everyone in the school survived.